8U receives 2nd at Swing for Rings in Mustang! Congratulations to our 18 Gold team for winning a berth to 2019 PGF Nationals! 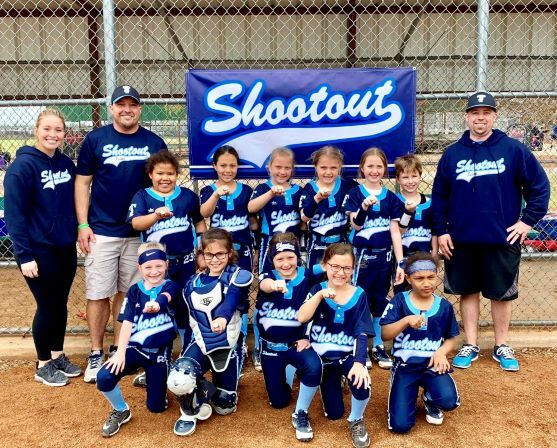 Welcome to the official website of the Shootout Sports, Inc. Shootout Sports supports competitive club for ages 18U-10U. Shootout Sports is based on academic focus, personal character, and athletic potential. The Tulsa Shootout Softball Organization was founded by Head Coach/Manager Krystel Markwardt in 2003. The goal has always been to give young ladies the opportunity to play at the highest level of Junior Olympic softball while getting the training and coaching they need to continue their softball career at the collegiate level. 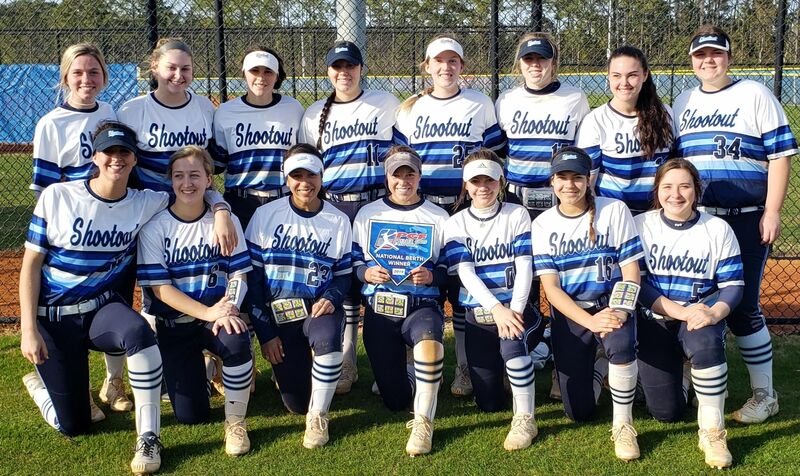 The Shootout 18 Gold has helped send 56 Senior athletes to play in multiple levels of collegiate softball. Our 18 Gold team is one of the most recognized girls fastpitch teams in Oklahoma and our region. We compete with the highest level of competition in the country. The 18 Gold team finished at the USA/ASA Gold Championships in Clearwater, FL in the top 15. Our 14 year legacy is strong as our 2017 senior class committed to many excellent schools where they will play NCAA, NAIA, and JUCO softball. Our program mission is "To Be the Best, You Have to Play the Best!" We play in tournaments where we will face the strongest competition. We strive to be the best student-athletes that we can be. 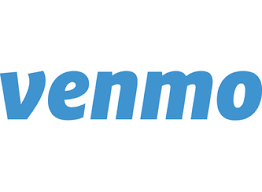 Now you can pay your dues using Venmo.